VIVID DDR4 RGB MEMORY WITH A LIMITED LIFETIME WARRANTY Enjoy a wide range of memory features with the CORSAIR DOMINATOR® PLATINUM, an RGB DDR4 Memory that's powered by tightly-screened high-frequency memory chips. 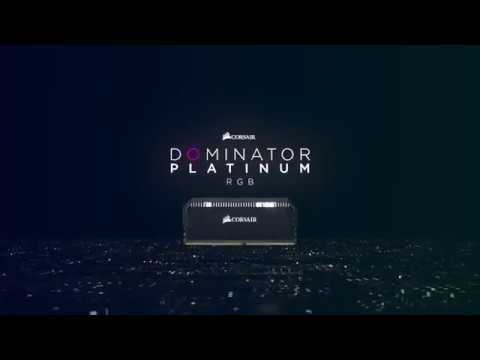 DOMINATOR® PLATINUM provides impeccable performance for your system and has efficient space for overclocking thanks to a custom PCB that's cooled by CORSAIR's patented DHX cooling technology to bring you the finest memory operation. This intuitive RAM has been optimized for the latest Intel® and AMD DDR4 compatible motherboards for even more versatility. Engineered with timeless, iconic features with incredible craftmanship and aluminium construction to aid cooling properties. 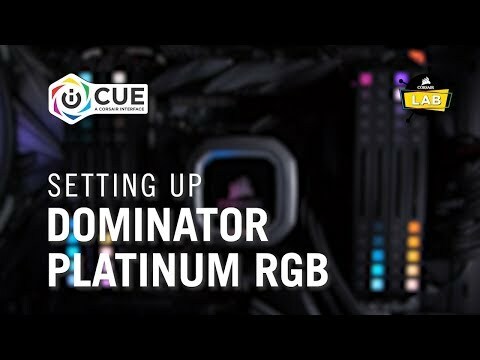 Personalize the DOMINATOR® with CORSAIR's impressive iCUE software which allows you to adjust the twelve RGB LED colours and play with lighting effects to truly immerse you in your gameplay, along with real-time frequency and temperature monitoring. The DOMINATOR® DDR4 comes complete with compatibility with the latest motherboards, along with Intel® XMP 2.0 for easy setup, all backed with a limited lifetime warranty. Stunning RGB DDR4 DESIGN CORSAIR DOMINATOR DDR4 memory is designed to complement your system, and is perfect for adding extra flair to gaming PCs. This DDR4 desktop memory has an iconic RGB design that will make it unmistakable inside your high-end build. The DOMINATOR is lined with twelve vibrant RGB LED lights that can all be individually customized to make a unique light show inside your system. AMAZINGLY-QUICK DDR4 OPERATION Hand-sorted, tightly screened memory chips on the DOMINATOR ensure high-frequency performance with lightning-fast response times, offering you premium DDR4 memory operation with room for all your overclocking needs. DUAL-CHANNEL DHX COOLING TECHNOLOGY Usually overclocking overhead is limited by operating temperature, but not for the DOMINATOR. Due to the unique design of the heat spreader, the temperature is continuously lowered as heat is pulled away from the ICs and into your system’s cooling path. The heatspreader that’s embedded directly into the PCB pulls heat away from the modules, allowing the DOMINATOR to stay completely cool even under extreme stress. It utilizes Patented Dual-Channel DHX Cooling technology to guarantee you get the greatest performance from your DDR4 memory and allowing you to push it even further. 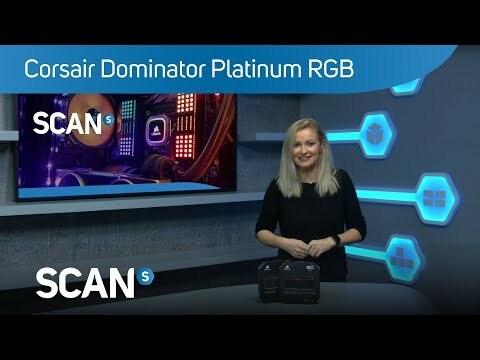 HIGH-PERFORMANCE PCB The CORSAIR DOMINATOR® PLATINUM RGB Memory features a custom, high-performance PCB that guarantees fantastic signal quality and reliability so that you’ll always have superior performance. SUPPORTED BY Intel® XMP 2.0 The DOMINATOR® DDR4 memory is supported by Intel® XMP 2.0 so you can get up and running with an easy one-setting installation and setup. BE IMMERSED IN LIGHTING WITH CORSAIR ICUE SOFTWARE Your DOMINATOR® DDR4 memory comes fitted with twelve integrated lights that can be individually addressed to create spectacular custom lighting using CORSAIR’s iCUE software. Choose from dozens of vibrant pre-set lighting profiles, or create your own by addressing the LED lights however you like. Bring your system to life with dynamic lighting that can be synchronized across all your iCUE compatible products to create a build you cannot miss. CORSAIR’S LIMITED LIFETIME WARRANTY The CORSAIR DOMINATOR® PLATINUM RGB DDR4 Memory comes with a limited lifetime warranty to give you total peace-of-mind, and guarantees your memory will always be performing at its best.